Boat builder Louis Sauzedde has been crafting a wooden work skiff from raw lumber and documenting the process each week in a series of 36 videos. His Rhode Island accent, complete mastery of his craft, ability to explain both what he is doing and why he is doing it, casual use of nautical jargon, and his general good natured enthusiasm -- combined with excellent production and editing -- makes this series well worth watching. The final episode will be released this week, after which the boat can be seen in person at the sponsor's tent sale in Bristol, RI -- and then the boat itself will be put up for sale on ebay. You might watch as Lou establishes the sheer line, goes into the woods to find the perfect section of a tree for the breast hook, or designs some new hardware. I would never have imagined that a 14min video about filling in screw holes with epoxy could be compelling, but somehow Lou manages it. Well, this landlubber sure as hell didn't expect to be binge watching a guy build a boat. Fascinating and mesmerizing. Lou is a gifted teacher. I have followed him since I saw him steam bending wood in plastic bags. So obvious and ingenious. I'm never going to build a boat but he can teach anyone in woodworking a thing or two. In a similar vein, but with an automotive theme, I must recommend the ongoing series Project Binky. Wherein two blokes with very British senses of humo(u)r attempt to shoehorn into a classic Mini an engine and drivetrain that are a few sizes too large. Even for non-car-enthusiasts it is interesting and amusing much of the time. Quality production values, lovely narration. Thanks for sharing! the perfect marriage of woodcraft and boatcraft. fantastic. Definitely going to watch all of these! Thanks for posting. Love these kind of videos.. Brilliant series, I skipped through a few but I'll have to go back and watch from the start. They're really well produced, and it seems like he's constantly got an interesting trick or bit of information to add. The search for a perfect tree section was cool, I was just reading the other day about forests with trees trained for ship building. I've greatly enjoyed this series. Early on Lou says something about doing a job "the old man way" — meaning using the minimum amount of effort — which I thought was really deep. The final video is up with some unbelievable action shots of the boat on the water. 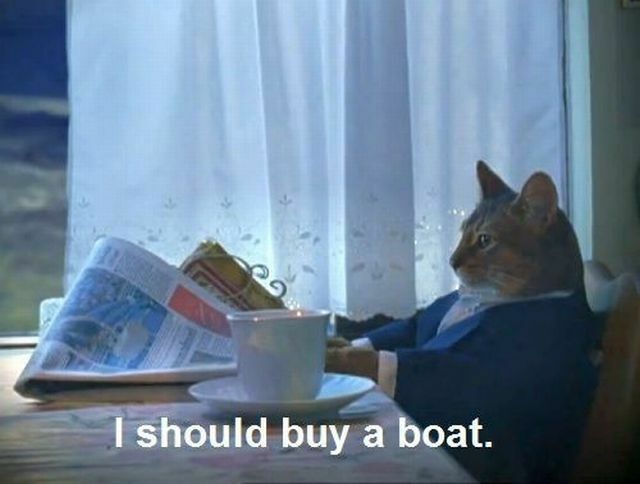 I miss having a boat. Between this video and spending time at the beach for the first time in forever, this cat and I are definitely on the same wavelength. Finally finished up watching them all - thank you for posting this, it's just great all the way through.